Four Los Angeles Unified School District Board candidates from Districts 4 and 6 gathered with student leaders for an in-depth conversation about the pursuit for district-wide college access at the 2017 United Way College Readiness Forum on Saturday, May 6. “You gain so much knowledge from being here, and you get to go back and ask ‘did you know this? '” said Zeyna Faucette, a junior at Hamilton High and member of Young Civic Leaders program. The system has garnered publicity in recent years, as students and educators have come to realize that the A-G, which allow students to graduate with a “D” in any of its required courses, does not exclusively prepare students for success in their higher educational endeavors, as most colleges will not accept the credit for the classes in which a student earned said “D.” The universities require a “C” or higher. While United Way claims that A-G is a student’s basic right, they are advocating for the refinement of this policy. Despite a steady increase in LAUSD’s graduation rate, which reached a record-breaking 77 percent for the 2015-16 school year, according to the California Department of Education, less than half of those high school graduates were eligible for the state’s public universities due to inconsistencies in the grading system. Students at the forum were audibly shocked to learn these statistics, which were presented through an activity involving candy bars. According to the United Way student speakers, many students and parents are not aware of how the A-G system functions and it’s usually too late when they do find out. It becomes impossible to change anything before college applications are due and as a result, many students are left without a college education. Before the candidates engaged in the debate, student leaders from United Way presented a video highlighting the struggles minority students experienced on a daily basis. It stressed the importance of student voices and showcased footage from previous demonstrations in which students and teachers protested against LAUSD. The video featured clips from the 2006 documentary “Walkout,” based on the 1968 Chicano Blowouts. It also included footage from the March 2006 LAUSD student walkouts, during which students protested the proposed Border Protection, Anti-terrorism and Illegal Immigration Control Act of 2005 (H.R. 4437). Concluding, it showed footage of recent protests in support of the A-G requirements system. All three movements were instrumental in the district’s reform. 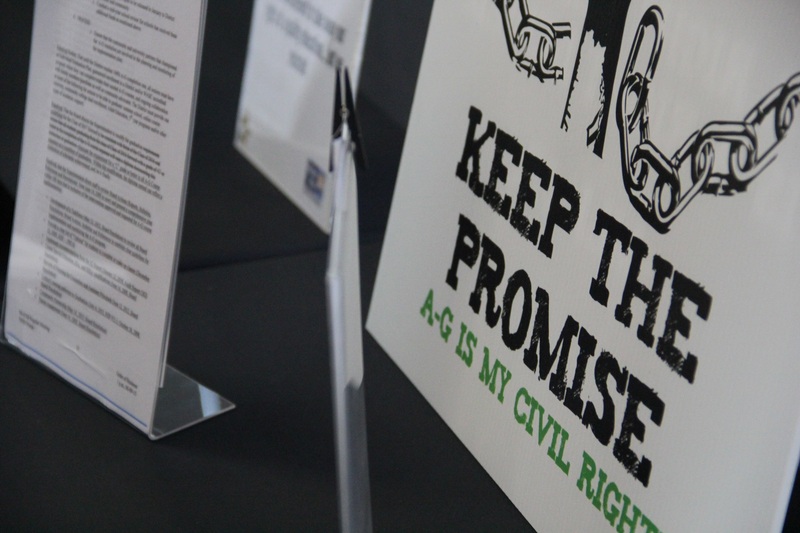 Other organizations advocating for youth involvement, such as LA Youth Vote and the University of California, Los Angeles Community Programs Office, were present at the event. The event drew about 200 students and community leaders according to the United Way. With this becoming more of an issue, the focus has switched to the school board candidates and their solutions to this problem and many more affecting LAUSD. For the second half of the forum, all eyes were on the candidates. Kelly Gonez and Imelda Padilla, each running for a seat in District 6’s Board of Education, were joined by District 4’s incumbent Steve Zimmer and candidate Nick Melvoin on the debate panel. During the forum, Padilla stressed that counselors should help students in choosing the right classes in order to be fully prepared to be accepted into and to attend college. “We need to prioritize putting more counselors in each school,” said Padilla, a youth and labor organizer. Padilla was not the only candidate who voiced concern over student services. “We must hold our board more accountable and be more transparent so that we aren’t wasting money when we could be spending [it] on counseling and nurses,” Melvoin said. According to the forum’s student leaders, more than 53 percent of high school students graduate without the courses necessary to get accepted into a four-year university. Current LAUSD District 4 Board President Steve Zimmer elaborated on this struggle and described what he feels must change. A teacher of 17 years, a counselor and a community activist, Zimmer has first-hand experience with this issue. “Access and equity is about all kids, in all neighborhoods, in every community,” he said. United Way strives to improve the futures of all students by empowering them and building groundwork for success. Through their work, United Way has helped to achieve a 9 percent increase in graduated students meeting the UC/CSU admission requirements.